Join us for an unforgettable night of worship in the heart of Jerusalem. Experience songs from the Bible sung in Hebrew and English, accompanied by testimonies from local believers of what God is doing in Israel today. Whether your group is 20 people or up to 600 people, you are welcome to join us on your next trip to Jerusalem! Depending on the size of the group, we have several beautiful halls that can accommodate your group size. 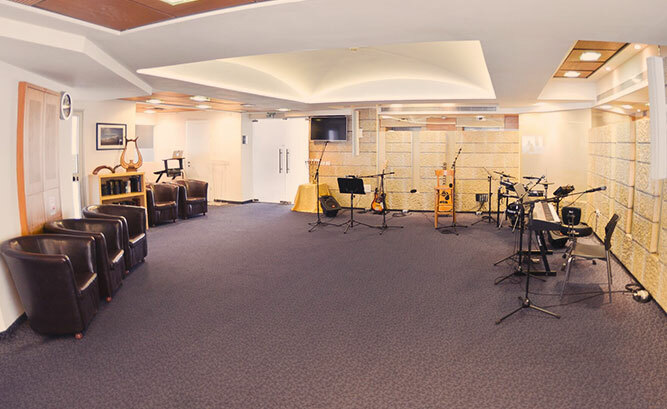 Located on the top floor of one of Jerusalem's tallest buildings, the Jerusalem Prayer Tower has been made available by the King of Kings Community as a 24-hour center for prayer and worship. 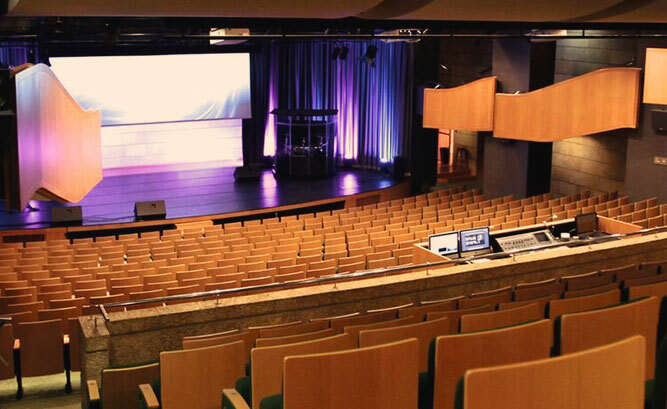 The Pavilion is a beautifully renovated theatre style venue which seats approximately 600 people. Sit and enjoy the acoustics, designed to give you an impactful Praise Experience. 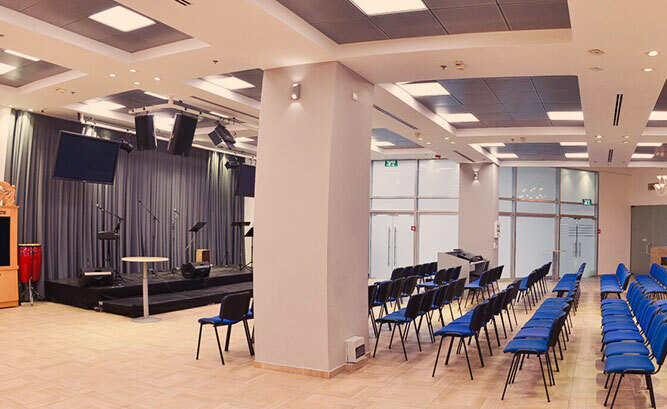 The Celebration Center was just recently renovated and is a beautiful facility in the heart of Jerusalem. We would love to work with you to incorporate a 75-minute Praise Experience into your tour schedule. Jerusalem Praise Experience is free.